It's back! Art & Drama Camp was such a hit last year at the studio, and for good reason. Imagine the excitement your child will feel when they spend afternoons preparing for their special, magical, glow-in-the-dark performance! From glowing face-paint. props and masks to vibrant drawing and painting lessons in the morning, this summer art camp will create memories that will last a lifetime. 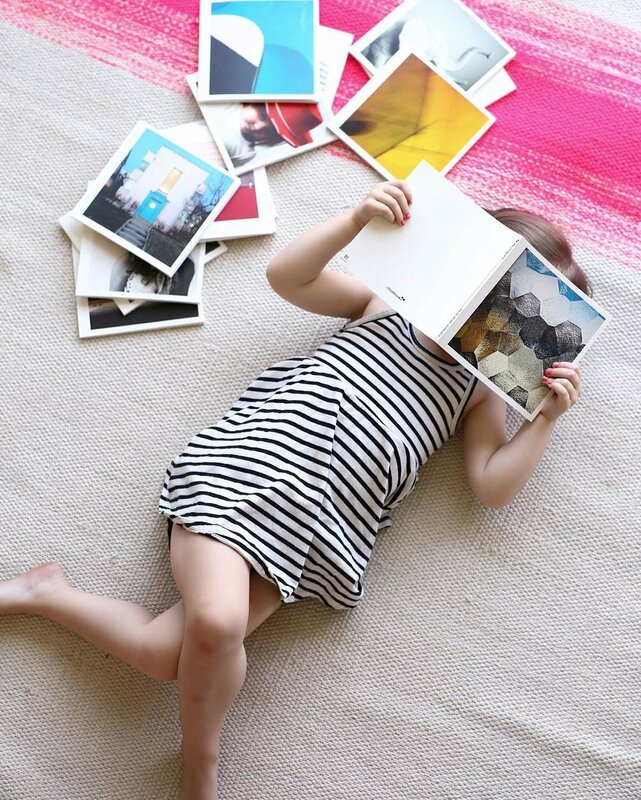 Your child will feel like a total art star all week long. 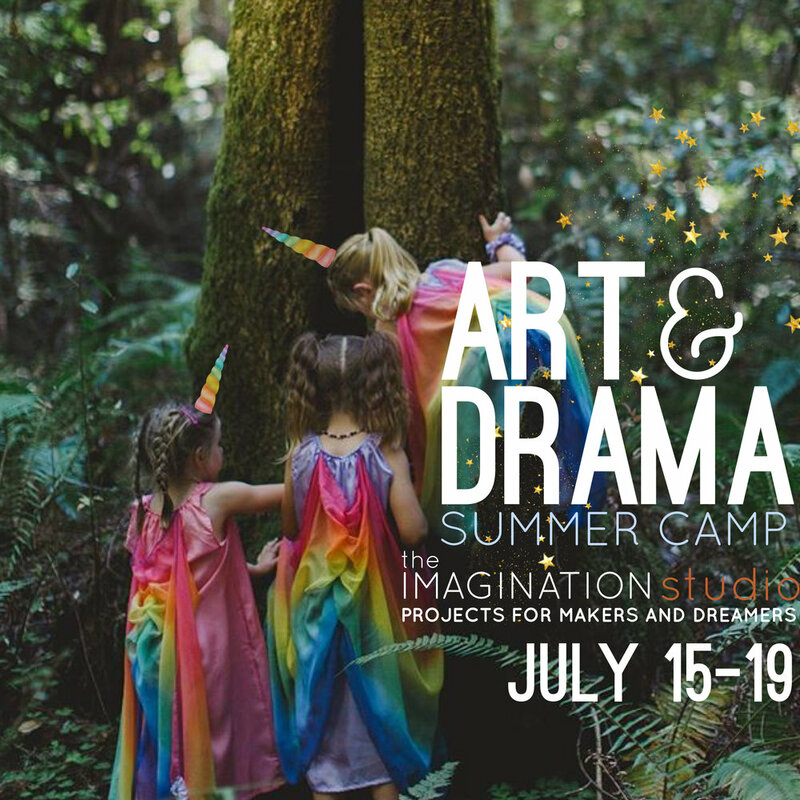 The Imagination Studio has joined forces with Brittany Knight to offer a week of visual art and drama lessons, activities and exploration. This camp celebrates the beauty of two art forms with two beautiful teachers in one beautiful camp. On the afternoon of Friday July 19th parents will be invited to join us to experience their child’s unforgettable performance. NEW THIS YEAR: PHOTO BOOKS! Did you know, studio owner Ashley Green has an eye for photography? And did you know I purchased a DSLR Camera? HELLO EVEN MORE AMAZING PHOTOS! Capturing moments of your child’s creative experience is a pure joy for me. I love noticing the coolest creative moments and moments where friendships shine! To help you and your cool kid celebrate these ⭐︎☽magical childhood memories☾⭐︎, you will be able to purchase a hard cover photo book for your child's week of camp, so they can share their colourful summer memories with friends and family and saver their youth in style. Pre-order only. Each photo book will be available for $35+HST and you can simply add this photo book to your cart when you register your child online if you want to enjoy these beautiful camp photos. As a parent myself, this is exactly what I want for my own daughter's summer camp experience. The photo books are a big yes for me. Photo Books will be mailed to your home address for the easiest convenience! Please allow 3-4 weeks after camp for photo books to arrive as they are custom made and shipped directly to you! REGISTRATION GOES LIVE ON MARCH 1st! Our camps sell out fast, so we recommend you book asap.